All Bosch Rotak Lawn Mowers are manufactured in the U.K. That means excellent after sales service and no problem sourcing spares if required. Did you know? 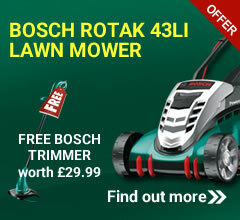 You can buy a Bosch Rotak 42Li cordless lawn mower with 1 x battery + charger for £329.00. Limited stock! Find out more. 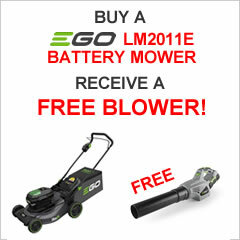 Imagine a world where you could cut your lawn, free of those annoying cables or toxic fumes! Take a giant step towards the future of mowing with the Bosch Rotak 43 LI Ergoflex lawn mower. While your neighbours labour away with their noisy, cumbersome petrol mowers, you can quickly get to grips with your mowing with the more powerful, lighter, quieter, cleaner Rotak 43 Li Ergoflex. Ideal for those larger domestic gardens - cutting rounds trees and shrubs, whatever the terrain will be a breeze with the Rotak 43 Li. The biggest headache for any gardener using electric power is the worry of cutting through the electric cable. Even the most diligent person is at risk of doing this. Well say goodbye to those worries and get yourself a cordless lawn mower! Once you start using your Rotak 43 Li you will wonder how you ever coped with petrol or electric in the past. You might not exactly think of yourself as an eco-warrior, but that's how others will see you when they know you have abandoned your petrol or electric lawn mower and opted for zero emissions cordless power. 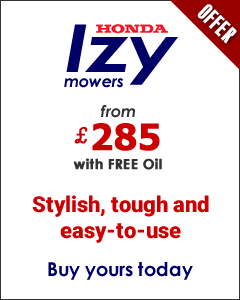 Just think no more trips to the petrol station, no more fumes and leaks to concern yourself with. The Rotak 43 Li offers you a greener alternative to gardening, an absolute must for the forward thinking gardener of the 21st century! Those clever designers at Bosch bring you a cordless lawn mower that is more powerful, yet quieter, lighter and easier to manage than its petrol or electric counterpart. The battery favoured by Bosch is the all powerful hi-tech 36V/4.0Ah lithium-ion. The best feature of this battery has to be the ability to store it fully or partly charged and not lose any power. Special protective electronics ensure that lithium-ion garden tools from Bosch achieve a maximum service life. The energy reserves are quickly replenished thanks to the fast battery chargers. This ensures that you immediately have access to the full battery power again. The technology inside the Rotak 43 Li may be exceedingly practical, but the outside looks the business as well. Turn heads as you glide around obstacles in your garden knowing you are safe to roam wherever you please, no longer choking on fumes or restricted by power cables. Bosch have really pushed the boat out with the Rotak 43Li. Its absolutely packed with user friendly features, the fact that the handles collapse to make for easier storage isn't even the beginning. Enjoy outstanding cutting performance thanks to the hardened steel blade and innovative airflow technology. With a 43cm (17”) working width and built in grass-combs you can mow right up to the edge of your lawn, and you will most probably find your lawn trimmer is redundant now! The bane of any gardener's life must be achieving that perfect lawn only for it to be covered in leaves and garden debris. But with the Rotak 43Li never fear! Unbelievably it offers yet another user friendly feature in the shape of a leaf collection system. Comfort and ease of use is at the forefront of Bosch's design. Its smooth running rubber coated wheels are not the only thing you will notice the first (and every) time you use this Rotak 43li. The handles have been ergonomically designed with maximum comfort for the user in mind. The handle bar offers you a firm grip, while the mower itself gives you easy to reach controls and fold away handles, making storing and transporting a walk in the park. A Power drive + motor that is quiet to run and powered by a 36v battery that will charge to 80% in only 70 minutes or 100% in 140 minutes. Syneon Chip – Intelligently controlled energy for every project. Precision cut in most grass conditions with six heights of cutting settings ranging from 20mm-70mm. A cutting width of 43cm (17”) with built in grass combs and a hardened steel rotary cutter blade ensures a precise cut, in almost any grass conditions. Bosch's AGR-certified "Ergoflex system" offers outstanding comfort and improved working posture meaning you can work on for longer. The quick click handle system makes your initial assembly easy. No tools required! The integrated carry handle and easy to collapse handles, not to mention its lightweight design at just 13.9kg, makes transporting and storing this lawn mower manageable. The grass combs mow the grass perfectly right up to the edge. A leaf collection feature makes for a tidier lawn all year round, making this lawn mower an even more valuable piece of gardening equipment. A 50 litre collection box ensures less interruptions through less trips to the compost heap making your job more efficient. The Syneon Chip is an intelligent electronic control system for Bosch cordless tools. It controls the performance ratio of current and voltage which is output to the motor according to what the application demands. Your advantage: Thanks to its Syneon Chip, the Bosch cordless tool always provides optimum power even in demanding jobs such as work with thick screws or dense wood. At the same time, it automatically ensures compliance with the current and voltage limits. The Syneon Chip therefore prevents overheating – and increases the lifetime of your Bosch tool. Bosch is adding a decisive product feature to its Rotak lawnmower models: the “Ergo-Flex” system. As a result of this, the Rotak mowers are now even easier to handle and also relieve the strain on the user’s arms and back. The multi-position handle and an adjustable work height make it possible to mow in various comfortable postures. Gardening enthusiasts can therefore work in an upright and relaxed position, and their muscles, tendons and joints are relieved of strain and supported. Mowing requires much less effort. With the Bosch 36V cordless garden range, once you have the battery and the charger, then you can add the different machines as and when you need them as they all use the same batteries. Utilising the latest in cell technology the 36 volt batteries deliver the power of petrol with the convenience of cordless. 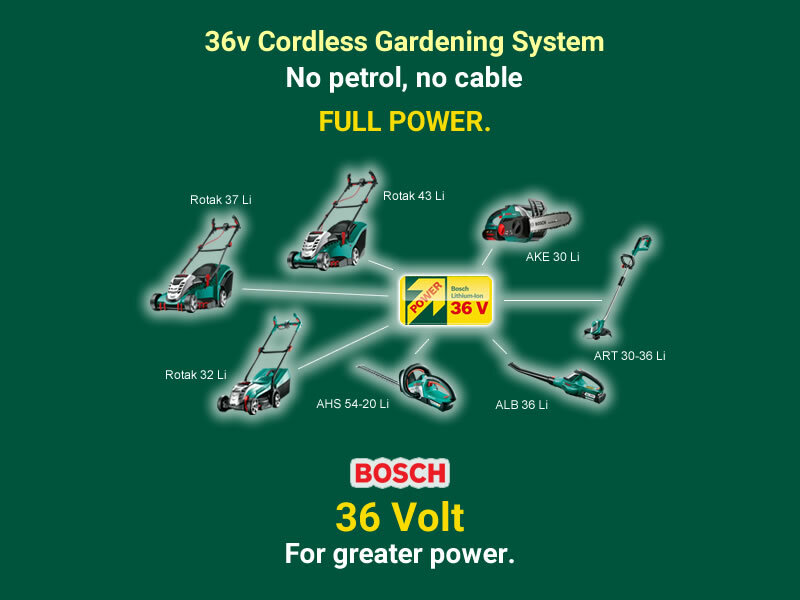 Delivering greater power with zero emissions, the 36 V range provides a real battery alternative to petrol and electric garden tools. With longer run times between charges (compared to NiCd batteries), no extension leads, fumes, petrol or pull cords to worry about. Providing full power at all times without any gradual power loss, the range offers a level of performance not traditionally associated with products of a similar size and weight. No petrol. No cable. Full power. AdvancedGrassCut 36 Cordless Grass Trimmer - The Bosch cordless grass trimmer AdvancedGrassCut 36 combines outstanding cutting power with comfort and ease of handling. The dual-line cutting system provides a high-quality, efficient cut, and the semi-automatic line feed enables uninterrupted work. A handy plant protector for trimming around trees and plants gives you the safety you need, while the fact that you do not have to untangle any cables gives you unrestricted freedom of movement to handle any task around the garden. AdvancedHedgeCut 36 Cordless Hedge Cutter - The cordless and powerful AdvancedHedgeCut 36 has a combination of 540mm blade length, 20mm tooth opening and the electronic Anti-Blocking System to ensure powerful cutting to get the job done. 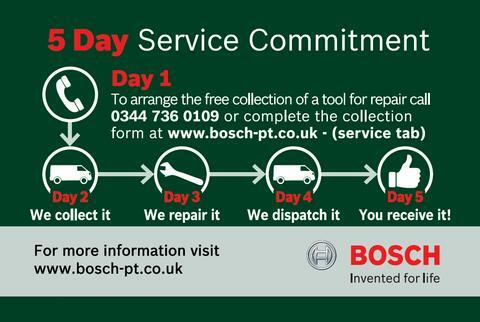 Bosch can guarantee to repair/replace your tool in just 5 days. Due to new UK legislation (regarding the shipping of Lithium batteries) we may open the product box and fit the included battery. Bosch was created in 1886 in Stuttgart, Germany by Robert Bosch who formed the business to specialise in the manufacture of electronic components. The 'Workshop for Precision Mechanics and Electrical Engineering' as he originally called it, has since become one of the biggest and best known manufacturers of both domestic and industrial products in the world. Bosch have always had a willingness to improve on their already established designs, right from day one. It's this ethos, which has allowed Robert Bosch GmbH and Bosch Garden Tools to maintain the enviable place in the market they hold today. Their expertise is very apparent in their present range of lawn mowers and garden tools as it includes products, which no other garden machinery manufacturer produces. The Rotak electric and cordless lawn mowers demonstrate the company's willingness to innovate with features like grass combs that enable you to mow right up to the lawn's edge and rechargeable lithium-ion batteries that have virtually no weakened performance after extended use. Bosch hand held power tools like grass trimmers, hedge trimmers, leaf blowers and chainsaws all offer the latest reliable German technology, together with a range of highly innovative features to keep your garden looking its best. 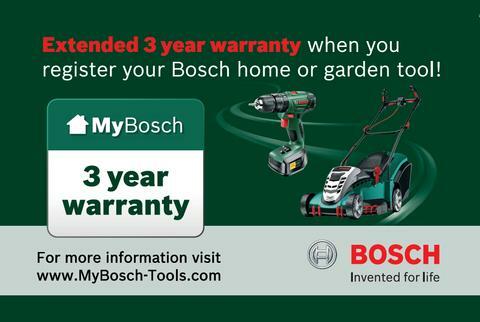 Bosch's extensive garden tool range also includes the Isio Cordless shrub and grass shear. This is a tool which allows users with physical weaknesses to use and carry out simple gardening tasks with ease. There is no doubt that if a gardening tool can be improved upon then Bosch will already be working on it. Having had two Bosh Rotak corded mowers before over the last twenty years, I decided to invest in the same model only cordless. It does the job very well. A neighbour who has the same model and a similar size garden purchased a two battery model but advised me that one would be sufficient and it is, so that was a saving. It is a dream not having to get the long extension lead out and not having to watch out where the lead is all the time. It has cut my mowing time for two lawns by at least twenty minutes and is a lot less effort. This is an excellent lawnmower in every respect, worth the price. It is light and manoeuvrable, and cuts the grass really well. It cuts right up to the edges. It is great at collecting cuttings leaving nothing on the lawn. It does not clog up at all and only starts dropping grass when the grass box is very full, but still goes on mowing. The battery still had 2 bars lit after 15 mins mowing through unevenly cut grass with a patch of very long tufts where my old mower gave up. I have seen this marked down on reviews because the grass box is fiddly to assemble, and yes it is a bit, but it only took me, a very petite pensioner, about 15 minutes, and once it's done that's it, it is sturdy. It is definitely not a problem. The mower otherwise is very easy to assemble, I had it up and running very quickly. I can lift it with one hand so it's easy to put away. If I have one tiny niggle it is that grass gathers in all the nooks and crannies, including the corners of the grass box, but as the machine is so easy to clean this does not really cause a problem. Maybe once my grass is cut more regularly there won't be as much loose cuttings. The height adjustment is straightforward, and there is a good range of cut heights. I have only a medium sized flat lawn but my old petrol machine struggled and finally gave up - thank goodness as I was sick of having to call my husband to start it for me and then spend ages cleaning it as it was heavy and could not be turned over. I am so glad I have this, my lawn will be mowed much more often this summer. Great service and quick delivery too!